Snap! 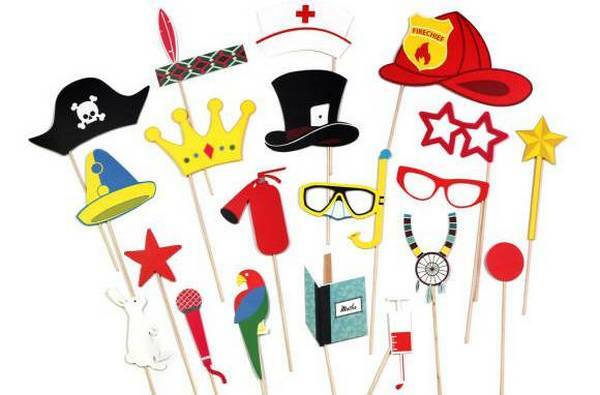 Make your next children’s party or New Year’s bash a success with picture-perfect party props. It’s hardly a party without a photo booth these days and you can see why – a photo booth is the ideal opportunity for silly, dressing-up fun and can be a great way of extending a party theme. Make the most of snapping pics of goofy faces with the very best props. DOIY Photo Booth Kids is a simple kit of fun photo booth props. The collection includes 20 cardboard hats, glasses and other fun oddities such as microphones, animals and lollipops, all suited to kid’s parties. Each prop is mounted on a stick allowing for quick changes between shots. Use a plain white bed sheet as the backdrop for your photo booth or get creative with patterned backgrounds (a lot can be achieved with a roll of bright striped or polka-dotted wrapping paper). 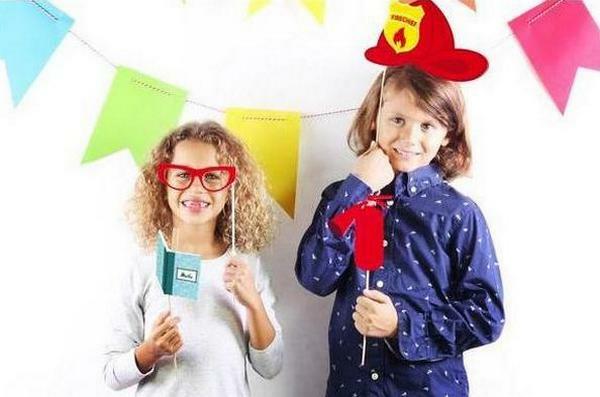 In my experience, the photo booth increases in popularity as a party progresses and by the end of your event you’ll have a queue of kids busting to get into the props! DOIY Photo Booth Kids is $29.95 and is available online at Until. Also available are themed Christmas, Halloween, Love and Party Photo Booth sets, priced from $24.95.